Total Basement Finishing of CT.
Making design changes to your home takes time and skill, but these changes can go a long way to making your home feel like new again. 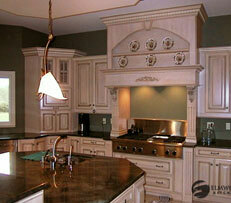 Finding trustworthy, reliable and highly trained home design companies can be a difficult task, though. Your best bet is to find a company that is a part of a trusted association or network. The Connecticut Home Design Association was founded with the sole purpose of promoting responsibility and integrity in the Home Service and Retail Providers marketplace. The companies that are a part of this association are skilled and trusted members that provide great home design services for homeowners across the entire state of Connecticut. All members are pre screened and must up hold the highest business practices, and be in good standing with the Consumer Protection Agency. This ensures that homeowners are dealing with only the finest home design companies in the state. These are not fly-by-night contractors but professional design consultants who have the knowledge to make your home more modern, efficient and beautiful. The Connecticut Home Design Association holds weekly meetings with the members to share ideas on best practices for customer service, quality control and strategies on building and maintaining the highest level of customer care. Members of the association never stop learning how to be high-quality home design companies! All of the members dedicate the resources, time and training required to be strong consumer advocates. The ever-growing association is made up of various types of home design organizations including those specializing in flooring, home theater systems, lighting, basement finishing, furniture, window products, closets, kitchen design and more. The goal of the C.H.D.A. is to provide homeowners with the resources to find the very best companies providing unsurpassed customer care and service. When you have a home design project in Connecticut, we can find the perfect company for you to get the job done right.